Two new driving ordinances passed their first reading Tuesday, March 27th in Branson, Missouri. 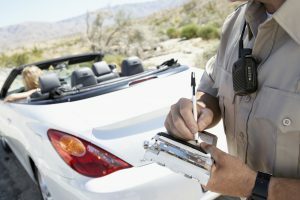 Following Springfield’s change earlier this year, one of the ordinances discussed regarded seat belt tickets being a seen as a primary offense. Not wearing a seat belt will be enough of a reason to be pulled over, if this ordinances gets passed. According to the National Safety Council, every crash-related death costs the country more than $1.1 million annually in wages and productivity losses, medical expenses, administrative expenses, property damage, and uninsured employer costs for crashes involving workers. That’s money that comes out of all of our pockets in terms of insurance costs, taxes, and other avenues. And this doesn’t even count the emotional and physical toll on survivors. Buckle up, do it for yourself and your loved ones. The second ordinance discussed involves cell phones and other hand held devices. After losing 5 high school students to automobile accidents, local students stood up to support this new ordinance. Safety is at the root of these potential new laws. Simply having your phone to your ear while driving could result in being pulled over and ticketed. Sgt. Kauffman went on to explain how the primary responsibility of a driver should be driving. While commute takes up a majority of our daily lives, our safety needs to be prioritizes. More than enough distractions exist while driving, having a phone in your hand does not need to be added. In the event that you receive an important phone call/text while on the road, consider pulling over before picking up or responding. Take responsibility for your own actions, because we know not everyone is. Just by being aware of your surroundings can be beneficial when someone else isn’t paying attention. While these two ordinances passed their first reading, they still have a few steps to pass before they’re put into effect. The second reading for the new laws will be held on April 10th.